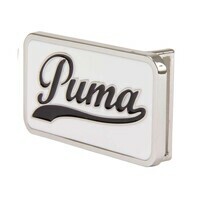 Puma Flipside Golf Belt Buckle Black AW15. 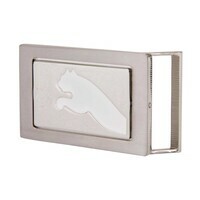 The reversible Flipside golf belt buckle is a fantastic option for this season as the golf belt buckle can be flipped in order to match perfectly with any Puma golf outfit. 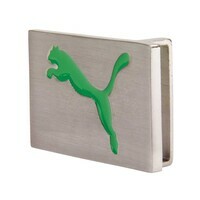 Featuring the Puma Cat logo on both sides of the golf buckle, the black version of the Flipside buckle is a great choice for 2015. - Puma Cat Branding - Reversible. 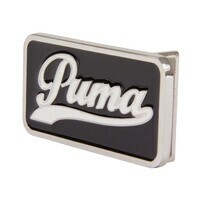 Puma Spectrum Golf Belt Buckle Black AW15. 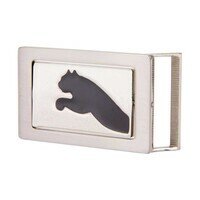 Sliver metal and a black Puma Cat logo is a great combination for the Spectrum golf belt buckle and it will match perfectly with either of the Puma genuine leather belt straps. 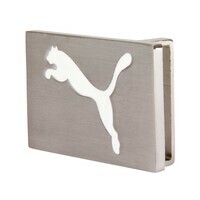 - Puma Cat Logo - Silver Metal. Puma Spectrum Golf Belt Buckle Puma Red AW15. 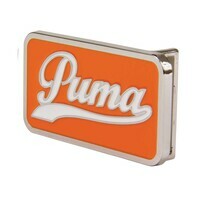 With the iconic Puma Cat featured in the stunning Puma red colour, the Spectrum Golf Belt Buckle is the perfect accessory to complete a wide range of Puma outfits this season. 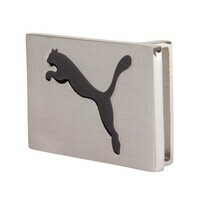 - Puma Cat Logo - Silver Metal.